Metal music is often associated with drugs, alcohol, mental disorders and suicides. In this brief article, you can see in how far this corresponds to factual accounts. Obviously, this doesn’t mean if you play or listen to Metal you'll end your days in any of these ways. And it goes without saying that people who play other kinds of music are not safeguarded from the danger of dying in similar circumstances. This articule tells us, what is real and what is not. And if it's necessary to be a Metal music player or just a "normal person" to fall in the death's hands in these ways. This article is just to wake up the curiosity of the readers. Certainly, some strange causes of death are included here. For example, epileptic seizure, septicemia, landmine in war, dead in his sleep, cholangiocarcinoma, drowned in the Indian Ocean tsunami, died by the Lou Gehrig's disease or thrashed by a security guard in Sweden. Below is the summary of the main causes of death in European Metal and the main countries where these happen. These data were collected since the mid-70s until today from the database "Encyclopaedia Metallum". 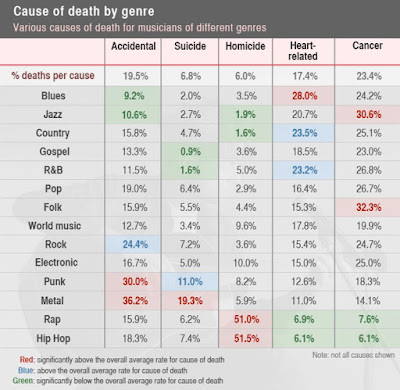 In the article “Music to die for: how genre affects popular musicians' life expectancy” published by the website “theconversation.com” (https://theconversation.com/music-to-die-for-how-genre-affects-popular-musicians-life-expectancy-36660) the causes of death in other genres of music were examined. It stands out that also here the main causes of death in Metal music are considered to be accidents and suicides. 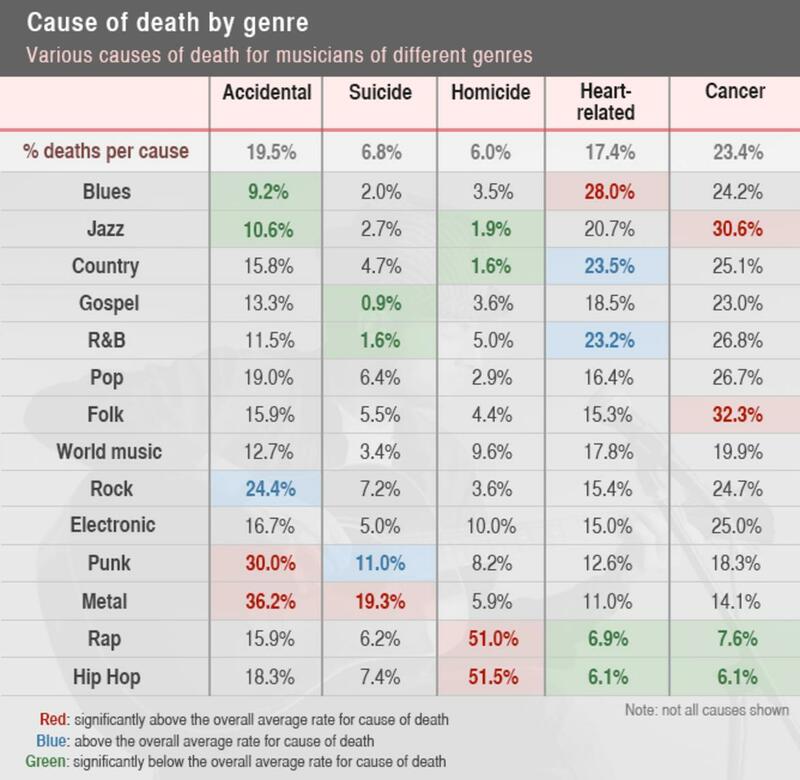 By the other hand, the next graphic can be confusing, because there's not concordance about the number of bands and deaths. -Finland is the biggest country about % bands/habitants, and however, it's ranked in 9th position. -Germany leads the ranking of mortality in the first position, and however it's near of the 11.76% of bands per 100.000 habitants. -The same happens with Russia, where it's in the second place of the death ranking, and however the ratio is less that 0.5%. 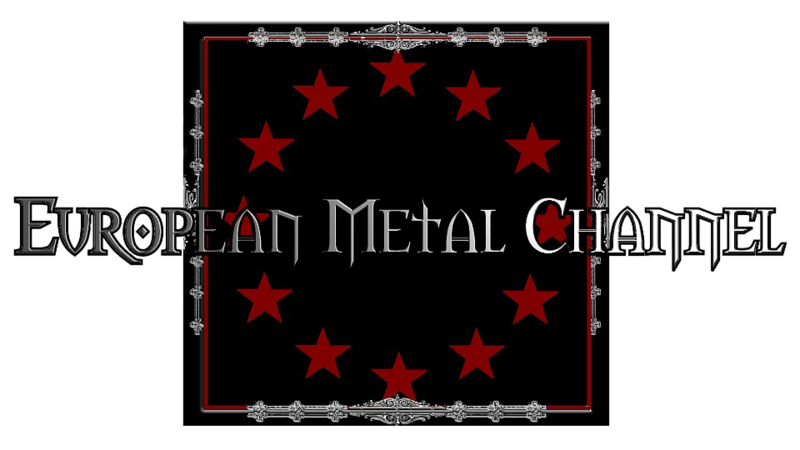 And finally, this is the classification of each of the European country with the statistics of causes of death of the members of Metal bands. There are 43 European countries, 5 Euro-Asian countries and a former ex-European country. As in the previous classification, these data were collected since the mid-70s until today from the database "Encyclopaedia Metallum". As final data, the names of these persons don't appear for respect. However, many of you know the more famous deaths in the European Metal history which are the murder of "Euronymous" (Vocalist of Mayhem) by Vark of Burzum, the suicide of "Dead" (also vocalist of Mayhem), and the recent death of "Tristessa" (Vocalist of Astarte) by complications from leukemia.